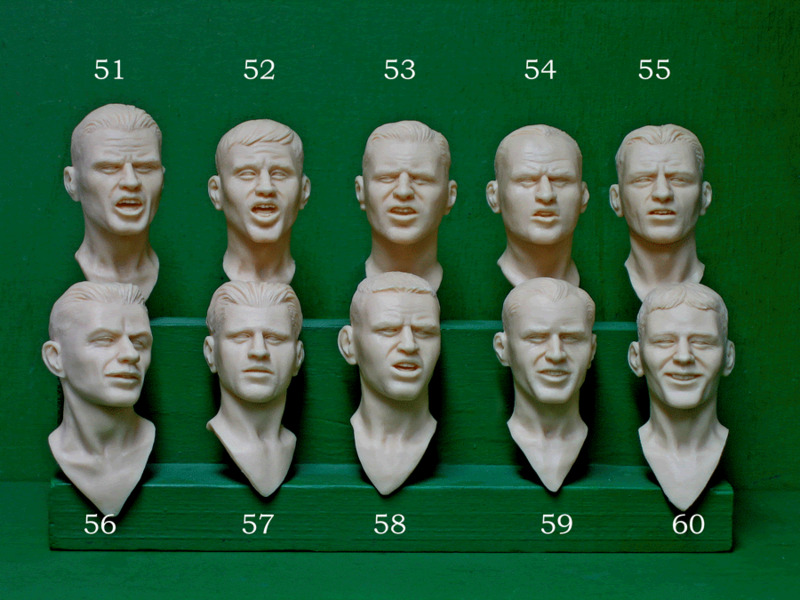 RESIN HEADS : cast in light flesh-coloured resin. 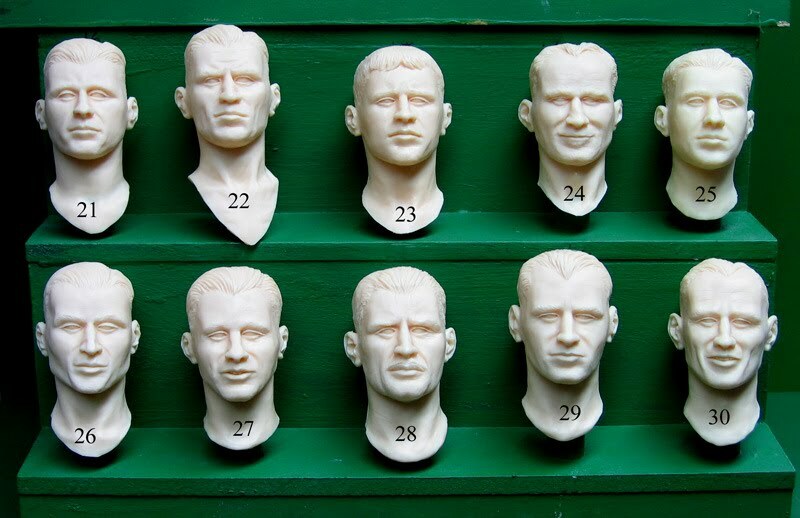 All heads £7 + postage . Please note that 32 and 34 are out of stock. This is the latest set : Sorry about the transposition of 68 and 69. The Russian Ivan is actually 68, and the Scots doctor is 69. Number 71 is Paddy Mayne of SAS fame , based on pics of him taken at the end of WW2 . 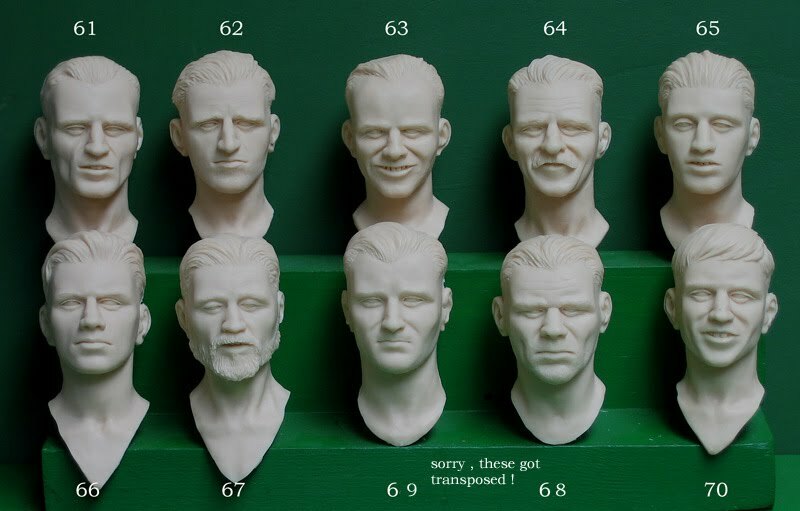 A couple more moustaches in this set , since so many people seem to want them , though they are easy enough to add to any head with Sculpey or an epoxy putty , or even real fur. 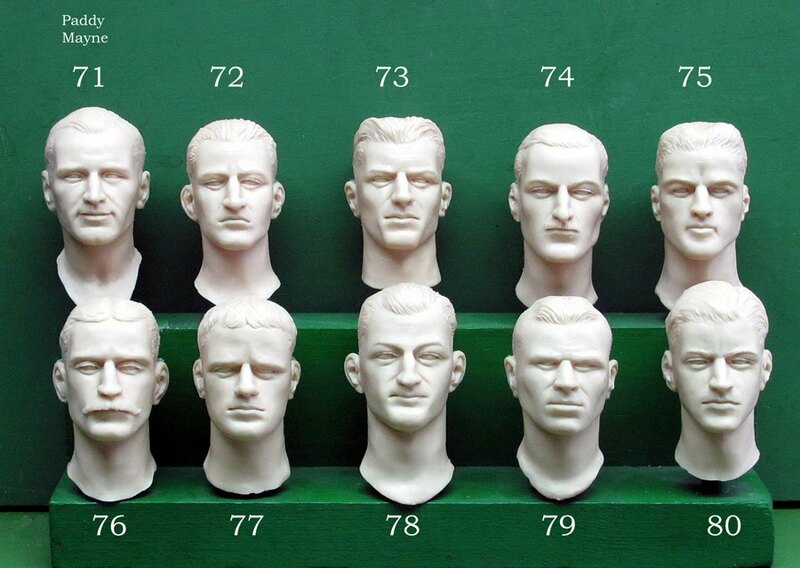 Please be aware that the most popular heads can run out quickly : think of alternatives if you can. 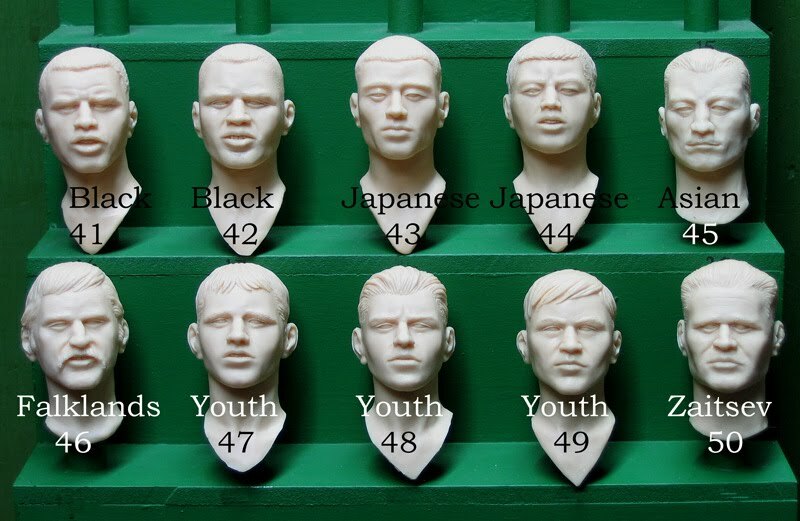 I do my best to keep stocks of all of them, but each set of ten is cast on a single mould , and I have to try and sell off all of the castings before re-ordering. £8 each. Postage varies, but at cost. PayPal only. 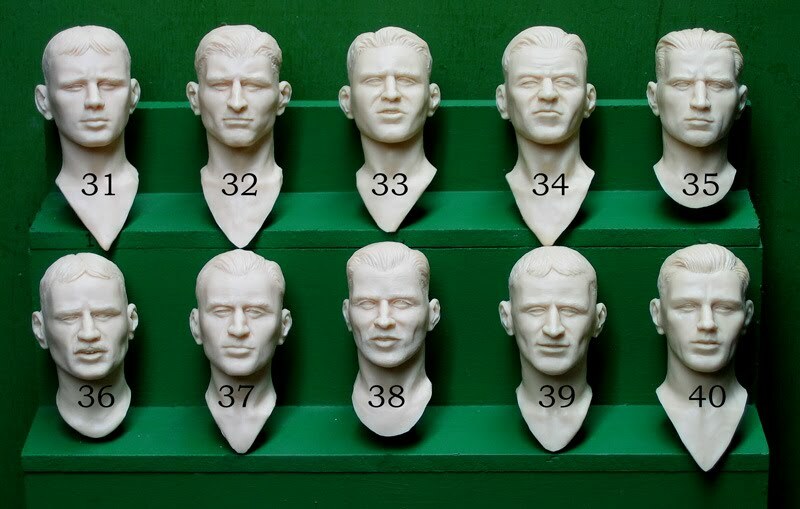 For fitting heads to bodies and painting go to the tips page.